Are you looking for dressmaking fabrics to buy online in the UK? We have created a list of the best online shops selling dressmaking fabric. We would love to know where you buy your dressmaking fabric and if you think we’ve missed any great shops off our list! Hopefully, this list of online fabric shops will help you find all the best fabric offers and the right fabric for your dressmaking project, read our guide on choosing the right fabric if you’re not sure where to start when it comes to dressmaking fabric. Here’s a quick list in alphabetical order. Scroll further below the list where we have added all of the shops in order of the number of online followers on Instagram and Facebook. We’ve also added brief quotes from their websites ‘About’ pages (where available) to give you a flavour of the history of the companies. We think it’s good to know a little more about where your fabric comes from, because some of these online shops have amazing histories and have been founded by passionate dressmakers. In the list below, we’ve included these fabric shops Instagram account and Facebook page, for you to follow them all (the best way to find out about the latest dressmaking fabric offers!) – and we’ve ordered them by who has the most combined followers/likes – not entirely scientific way of deciding which is best. We have lots of favourites from this list if you look in our magazines you’ll see lots of their fabrics featured, the more dressmaking fabric shops the better in our opinion from big to small, they all have something special to offer!) Figures correct at time of writing December 2018. My name is Josie and I launched Fabric Godmother when I got frustrated at not being able to find fabulous, reasonably priced dressmaking fabrics along with all the other bits you need (patterns, habby etc) online. I started sewing on my mum’s machine when I was child making clothes for my dolls, by the time I was 18 it was outfits for me to wear out on a Saturday night. For my 21st Birthday I got my very first, brand new sewing machine (a Husqvarna Viking 350 that I still use today) I really hope you enjoy browsing through our fabrics and patterns and feel inspired to start your next sewing project. Minerva Crafts is a family run business that was established in 1998, born out of a love for fabric, sewing and knitting, aiming to bring you a craft website like no other. Our aim is to be Europe’s no 1 online sewing, knitting and craft retailer, bringing you the best products at the best prices with fast and affordable delivery. Our small team has always worked extremely hard to provide the best, fastest and most personal service in order to be the best online retailer. I used to be a physiotherapist but decided on a change of career to something where my true passion lies – sewing! After planning and renovating the building that houses the shop and sewing school for over a year, I was then a finalist on BBC Two’s inaugural series of The Great British Sewing Bee in 2013. I source and choose only the most gorgeous and special fabric, yarn and haberdashery for the shop because I believe that making the effort to make your own clothes and homewares deserve the best of supplies! Two women, two generations, two continents, one passion: to bring the newest and hottest trends and products to sewists and quilters in the UK and the EU. With a modern sense for design and colour, Rebecca and Pam have searched far and wide to gather this unique and eclectic assortment of products that you are sure to enjoy! We are an internet store only, but our goodies are located in Fleetwood, England. If you are ever in the area, give us a call to schedule a private tour. We would love to show you our products in person and have a chat. Please peruse our pages and enjoy the variety of products we offer! We hope you love them as much as we do. The story began over 90 years ago when John Ball (my Grandfather) moved ‘over the border’ from Yorkshire to Lancashire to manage a mill producing yarns for the then thriving weaving trade… We started a tiny shop. Word spread and customers arrived from further a field which resulted in us sending threads to their homes if they simply couldn’t get over to us – the Mail Order Service began. Then along came the next generation with even more enthusiasm for textiles! We take stands at national shows, we travel the length & breadth of the country presenting talks & products to stitching groups, we run an in-house demonstration programme, we supply cutting edge Fashion Colleges and our products are supplied to individuals, businesses & institutions worldwide. Started by the Abakhan family in the late forties as a rug weaving business, the first retail outlet opened in Mostyn, North Wales over thirty years ago. Still headed by family members, Abakhan has now been trading for almost 60 years, with eight stores across the North West (North Wales, Manchester, Liverpool, Birkenhead, Bolton, Chester, Hanley and Preston). We are committed to sourcing the best products at the best prices for our customers and frequently have stock lots, clearance parcels and special offers available. Welcome to ‘M is for make’ an online fabric shop with a handpicked collection of fabrics, sewing patterns and haberdashery, based in Brighton, UK. ‘M is for make’ started with my own fabric habit, newly acquired when I ventured back into sewing a decade or so after learning how to sew at school. Frustrated by the uninspiring fabrics on the highstreet I discovered a whole new world of fabrics online from exciting designers that I’d never heard of. In 2011 I took the leap and since then ‘M is for make’ has gone from strength to strength. I choose fabrics with beautiful prints, patterns and colours from the best designers all over the world to create one cohesive collection. Finding sewing patterns that are achievable, wearable, that you will want to make and not leave on a shelf. Through our mail order division we have brought our vast range of quality Fabrics, Haberdashery, Crafts goods and Diamante items to doorsteps all over the UK. Our online objective is to offer our huge range of products at unbeatable prices supported by passionate and in-depth product knowledge. Our shop on Lavender Hill, Battersea has been around since 1992. It’s a fun and inspirational shop stocked with all kinds of fabrics – from dressmaking to craft to soft furnishing and more. We have beautiful cottons and jerseys from the fantastic Liberty’s. We stock crepes, denims and fleeces perfect for winter. For the summer, we have gorgeous linens, Liberty art fabrics and cotton lawns. Children love our novelty prints. Recently, we’ve seen a shift in the way people shop for fabric so we launched our online site in 2016. We’ve selected some of our (and your) favourites for you to enjoy. It doesn’t have everything we offer in the shop. So if you don’t see what you want online, do get in touch with us or pop by to the shop to see the full range. Dragonfly Fabrics is a family run business and is based in East Sussex. We have been selling quality modern dress-making fabrics for nearly a decade. We are proud to say we were nominated for the British Craft Awards 2018. One of our founders, Dorte Heaton, has over 25 years of experience in the dressmaking industry. She has worked for a number of London designers such as Vivienne Westwood. Dorte has a passion for sewing and is keen to share her knowledge to help customers choose the most suitable fabrics and patterns for their projects. She is very happy to answer any questions you may have, whether you are new to sewing or are an experienced dressmaker. Dorte draws on her wealth of experience to source the very best quality fabrics to allow you to get excellent results from your dress-making projects. An emporium of colourful fabrics from all over the world – staffed by colourful people from Shropshire! We are a family run company with one big love – textiles! This is us and we are here to help! We stock an extensive collection of over 5000 bolts of fabric ranging from quilting cotton, jersey, and double gauze to linens, and specialist dressmaking fabrics, so there is always plenty to choose from! We also stock haberdashery & notions, and have a large selection of yarns as well as knitting and crochet supplies in our yarn department. After a hard day’s fabric shopping you can retreat to our cafe, The Eternal Baker where you can relax and unwind and treat yourself to a coffee or two with one of our delicious cakes! We also run classes, so come and learn a new skill! At The Eternal Maker we’ll always aim to help as much as possible. Girl Charlee Fabrics was started in the USA by Heather Peterson in 2004, originally as a children’s clothing line created exclusively from vintage fabrics. After buying fabrics for many years Heather recognised a need for high quality knit fabrics with unique, modern prints and then decided to turn it into a business. Heather spent many years of her youth in the UK, so in 2013 Heather and her life long friends, and brothers Mark and Ben, along with Ben’s lovely wife Jen, decided to partner and bring the fabrics of Girl Charlee to the United Kingdom and Europe. The heritage of Croft Mill Spans 40 years and we believe Croft Mill are the original mail order fabric suppliers, long before the age of the internet. This business started in the 1940’s but by the 1970’s and 1980’s Croft Mill supplied tens of thousands of home sewers and business’ a month with fabrics direct to their door. We source from both local and international designers and manufacturers to bring you amazing and unique stock. Most of our stock is manufacturing ends and sampling lengths from both top end and high street designers which means that the majority of our stock continually changes, you will find something on our website that may be gone the next. We have a rich heritage in the fabric industry having begun trading in 1946 by Frank McKeon and James King, two brothers-in-law who shared the same drive and passion to provide the best fabric range at the best possible prices. They liked nothing better than to see customers leaving the shop with a genuine bargain and a smile on their face. The Remnant Kings reputation quickly spread and people travelled from all over Scotland to the shop in Glasgow’s east end. Over the years the company has expanded and we now have 5 fabric stores in Glasgow, Edinburgh, Falkirk and Hamilton. Although our roots are in fabric remnants we now sell fabrics sourced from around the globe including designer names Harlequin, Moon, Voyage, Lorient, Casamance, Casadeco, Clarke & Clarke, Prestigious Textiles, Brian Yates plus many more. People often travel a long way for their Dïtto material. Not everyone can get to Brighton every time they need fabric so in response to many requests Dïtto started online sales in 2010. An excellent range is available to buy online and a sample service means that you can make sure the colour and feel of the fabric is right for you before you buy. Gill Thornley established Dïtto fabrics in April 1983. She has been addicted to material for as long as she can remember and still loves running Ditto after all these years. Gill loves sewing and puts her fashion degree and years working in the trade to good use many times a day in the shop. 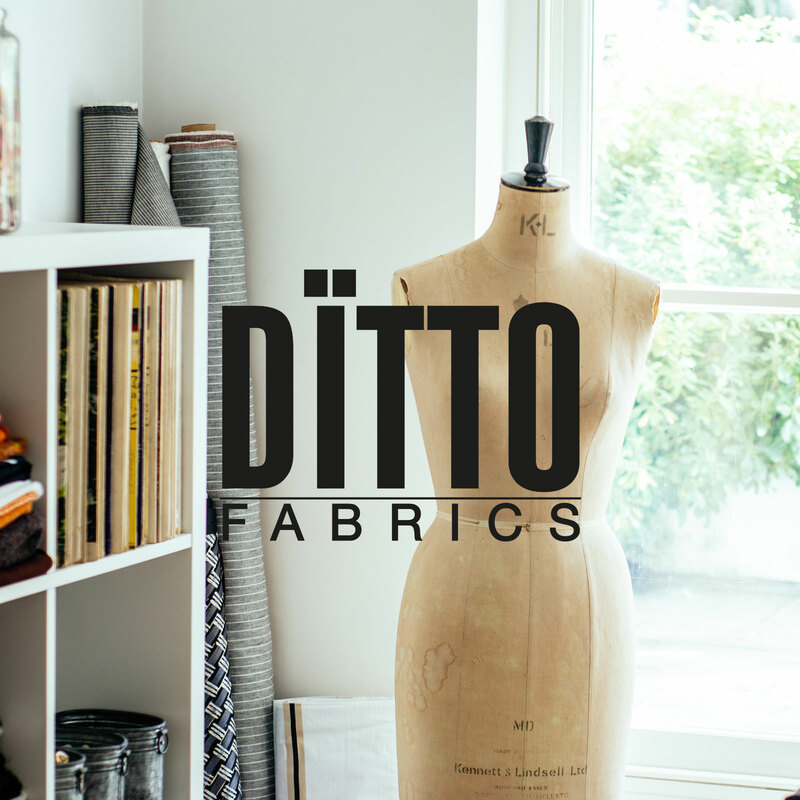 The experienced makers and fashion graduates on the Ditto staff share her zest and knowledge of all things fabric, sewing and fashion and they all love helping people choose the right fabric for the look they want. In 2004 a national award winning seamstress was struggling to find the haberdashery and sewing supplies she needed to enjoy her life long hobby. As a result, she worked together with her Son to establish Sew Essential and solve this problem for sewing enthusiasts everywhere. Fast forward 14 years and we now stock over 20,000 products for a wide range of disciplines including dressmaking, patchwork and quilting, soft furnishings, machine embroidery, needlecraft and more. We’ve also grown our team but have always maintained the ethos the business was founded on – for sewers by sewers. Our passionate staff set us apart by being able to offer excellent before and after sales service because they love and use our products. Rooftop Fabrics is a small family run business started in 2009 by a creative mum who found that although the soft cuddly fabric known as plush amongst other names was quite readily available in some parts of the world, those of us in the UK and Europe had far less choice often resorting to buying from America to get what we need. In 2012 we re-branded as Rooftop Fabrics and are proud to offer our ever expanding range of fabrics, including over 100 different designs of the highest quality plush fabric, several hundred cotton designs plus various other fabrics and haberdashery supplies all of which are ideal for home / small business sewing and craft projects. Eclectic Maker came out of a desire to find exciting, good quality fabrics for Jo a passionate maker of all things. Our carefully selected range of designer fabrics, plains and knits came together from there and has grown and grown. To complement our fabrics we have built up an extensive range of high quality tools and sewing accessories, haberdashery, patterns, threads, sewing machines and classes, making Eclectic Maker the one-stop-shop that it is today. Eclectic Maker is run by Jo and her team of sewers, whose collective experience is on tap to help answer any sewing question you may have. We all love what we do and thoroughly enjoy being part of a vibrant, growing and dynamic sewing community. Freya and Sarah met at a sewing workshop in 2014 and they discussed their dreams of opening a workshop space and haberdashery shop. They explored the opportunities for developing a new business in the heart of Leicester and arranged to become a dealership for Brother sewing machines. In September 2015, they joined forces to open Crafty Sew & So- Workshop and Haberdashery in Leicester City Centre to bring you a range of exciting crafty opportunities and a beautiful range of sewing equipment and fabrics. I have been sewing since I was old enough to hold a needle and be trusted not to swallow it and I’m certain I could sew before I could read and write. I enjoy dressmaking the most but I can turn my hand to most things stitch-related. I’m not really into all the traditional “chintzy” designs, which I think you will discover if you head to the Fabric section of the shop. I’m hoping my more modern tastes will attract some of you to give sewing a go and change your minds that sewing is an old-fashioned hobby. I also have a blog on the website, which I have to say is extremely entertaining (even if I do say so myself!) This is my first EVER blog which was started before the shop opened and what better thing to blog about than my most favourite thing in the world? 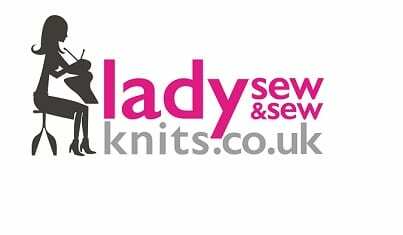 Lady Sew and Sew has been in business for almost 40 years, having started out as a market stall selling fabrics, then expanding into a shop in Marlow. Our current premises, a former Victorian laundry in Henley-on-Thames, has allowed us to grow into Europe’s biggest quilting and patchwork warehouse. We have massive stocks of fabrics, wadding and everything else you could possibly need. We sell a lovely collection of designer, cute and quirky fabrics for the creative sewer, specialist haberdashery, sewing kits, patterns and much more. Browse our online shop or come and join one of our sewing courses, hire a sewing machine, get friendly expert advice or make use of our alteration and repair service. Alternatively, why not book sewing party? We offer sewing party packages for adult’s and children’s birthday celebrations, hen parties and baby showers, all in our Bristol based sewing workshop. Bobbins and Buttons offer our own range of sewing patterns, a carefully selected range of the best quality dressmaking and crafting fabrics as well as Leicester based sewing classes. I Grew up in the 70’s and 80’s when buying clothes was less affordable and dressmaking was an answer to updating your wardrobe more regularly. My own mother was a talented dressmaker who made most of my clothes and my sisters clothes as well as a many for herself. In our online fabric shop, we have a huge range of quality fabrics, sold by the metre and available for delivery across the globe. The popular selection includes a number of customer favourites, such as waterproof fabrics, tartan fabrics, lycra fabrics, sports fabrics, fleece fabrics, upholstery fabrics, nylon fabrics and polyviscose fabrics. We want our customers to be fully satisfied with their purchases and to get the choice right first time – so we offer a sample service for the fabrics we stock. However, if you can’t seem to pick out what you need using our handy product filter, feel free to contact us and let us know what you’re looking for. As we have built up connections with many of the world’s best textile mills, our fabric experts can source the highest quality fabrics, in a wide variety of colours and styles. By making use of our fabric request service, you will be able to locate the right fabric for your exact needs. Round Pound Fabrics is the one stop pound shop for fabrics. Fabrics For Sale is a newly established online fabric store, providing you with an array of versatile fabrics for dressmaking, upholstery and craft projects. Our magical warehouse is full of high quality fabrics, from linen to wool, to jersey fabric. We have a selection of fabulous Liberty prints, pleated fabrics and premium vintage designs. Although we are a UK online fabric store, our fabrics are not UK restricted; they come from all around the world, from the Far East for basic silks and cottons, to European Mills for fashion fabrics. Our links with digital/ silk screen/ rotary printers lead us into providing exclusive and technology-forward fabrics. Sherwoods Fabrics was first established in 1945, retailing from the small market town of Ledbury. Since then, we have become soley an online fabric store, bringing you fabrics from all over the world, including UK, Europe and the Far East. Sherwoods Fabrics have chosen Designer fabrics for dress making straight from some of the most popular, ‘World-Renowned’ designer brands. Originally Sherwoods Online Fabric Store brought you only fabric, but we are constantly expanding our product base to bring you everything you need to complete your sewing project. Our aim is to become the One-Stop Shop for all your sewing requirements! Please keep coming back to see our latest additions! Sewbox is an online business, based in Suffolk in the East of England. In “online” terms we have been around for an age, and have served thousands of customers both in the UK and overseas. More of a labour of love than a business, Sewbox places a firm emphasis on quality. Customer service is very important to us and we only sell products that we believe in. Our aim is that all orders are turned around either the same or next day. I created Bloomsbury Square in early 2015 to make it much easier to find lovely fabrics for dressmaking. I learned to sew at the convent school in Midhurst, West Sussex, where my teachers, the lovely Sisters, taught me wonderful, traditional sewing skills and we used the old Singer sewing machines in our sewing rooms. I decided to take a career break and I re-discovered my love of sewing (plus my stash of fabrics bought in the eighties and nineties!) went to sewing classes and remembered all I had learned and more. I found sewing again more exciting than I can say. As I started to hunt for quality fabrics, in fashionable patterns and colours for my projects, I found it very difficult. It was those experiences which led me to set up Bloomsbury Square. I source my fabrics from the UK, and Europe, and love finding the smaller quantities from designers and quality factories which I include alongside the main range, so that I offer you the widest and most interesting selection which I can. This list is really interesting and useful. However, I’m left wondering why Fabworks Online isn’t featured?